Description: The Cook County Law Library (CCLL) serves the legal information needs of the legal profession, judiciary, self-represented litigants, and the public. CCLL connects residents to legal information. 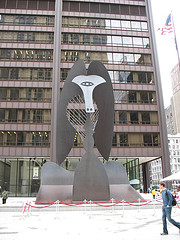 The Main Law Library, located in the Daley Center in downtown Chicago, offers all library users an extensive collection of practical legal resources in print and many premier legal databases. Specialized collections include government documents and foreign and international law including current and historical materials. The Law Library has five branch locations at outlying courthouses including Criminal Courts, Bridgeview, Maywood, Markham, and Skokie. *Law Library is open only to attorneys and current litigants on Saturdays. Patrons must present a valid ARDC card and/or court papers stamped within the past year.